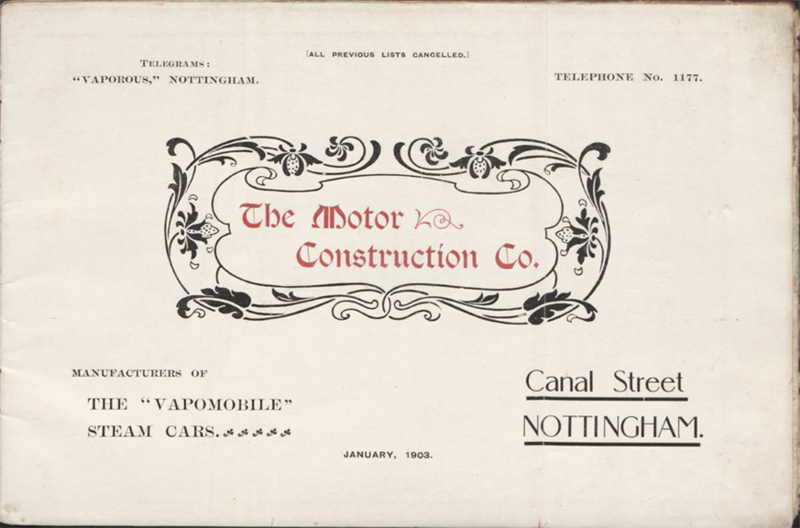 The Motor Construction Company of Nottingham, England manufactured The Vapomobile Steam Car. A trade catalogue dated January 1903 is preserved in the Z. Taylor Vinson Collection at the Hagley Library. 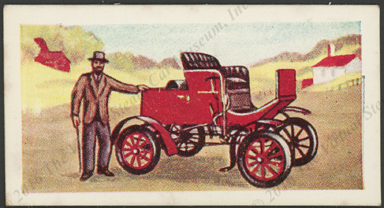 An English confectioner's card may be found in the VSCM Collection. 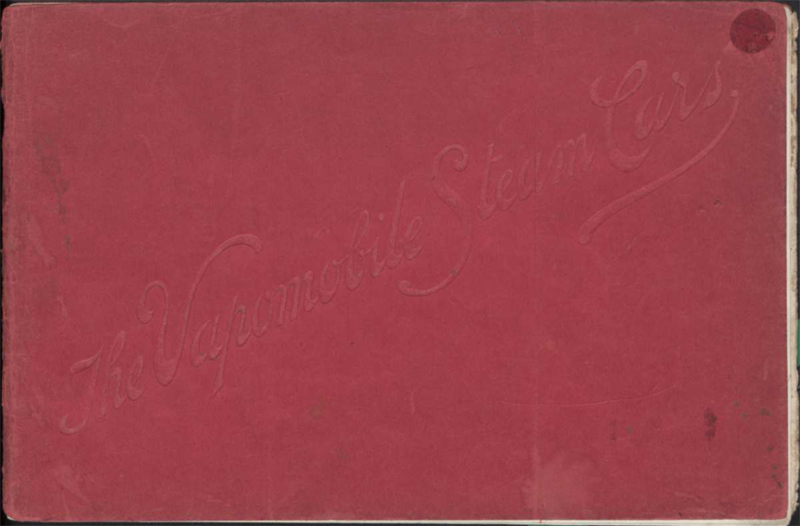 The Vapomobile name appears to mimic the Locomobile, and the car itself is clearly an imitation of the Locomobile. The Motor Construction Company manufactured the Vapomobile in 1903. This trade catalogue is reproduced Courtesy of the Hagley Museum and Library. This Motor Construction Company trade catalogue is from the Z. Taylor Vinson collection of transportation materials at the Hagley Museum and Library. A finding aid for the collection can be found here. 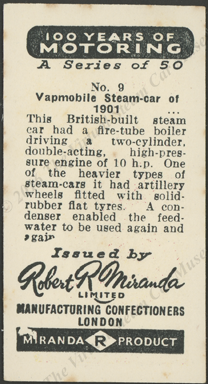 The Vapomobile was featured as card number 9 in a series of 50 produced by Robert R. Miranda, described as a London Manufacturing Confectioners.